This past May I had the honor and pleasure to cover the launch of NASA’s Mars InSight Lander. I interviewed scientists and engineers, toured Vandenberg Air Force Base, and hung out with other space enthusiasts and NASA’s social media team. Since childhood, I’ve always been fascinated with space exploration, so my childhood dreams came true when I got a chance to see the launch. Not only did I learn about the Mars Insight Lander mission, but also facts about Mars exploration rovers. For example, Mars rovers explore the terrain of Mars, while the Mars Insight Lander probes below the surface of Mars. However, I didn’t know that a scientist from Africa was actively involved in the design of Mars rovers. 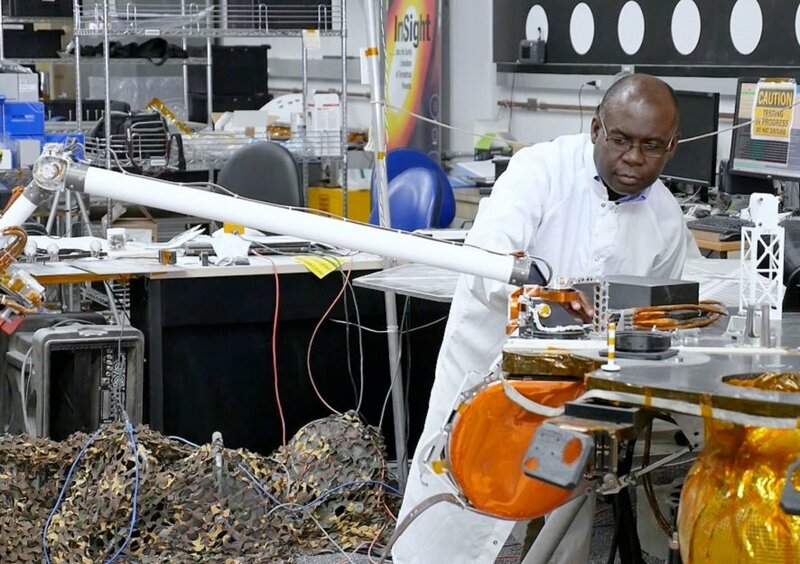 Dr. Ashitey Trebi-Ollennu is a chief engineer from Ghana who worked with a team to design robots for NASA missions at the NASA Jet Propulsion Laboratory. Trebi-Ollennu worked on the Phoenix Mars Lander that found water on Mars in 2008 and contributed to the Mars Exploration Rover project in 2003, and the Mars Science Laboratory in 2011. Read more about Dr. Trebi-Ollennu in Face to Face Africa.